Before leaving for Philadelphia many people offered me dozens of restaurant recommendations, but after diligently doing my homework (something I should have done in college) there was only one place I knew we MUST visit … Ristorante Pesto in South Philly. To say that it lived up to its advanced billing would be a giant understatement. 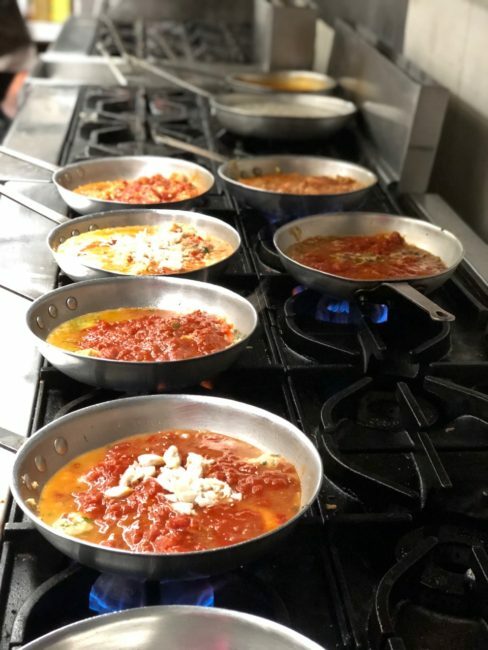 In fact, I’ll go as far to say that when you add up the food, atmosphere and service at Ristorante Pesto, it’s one of the top Italian restaurants I’ve dined at in my life … which includes all our trips to Italy. 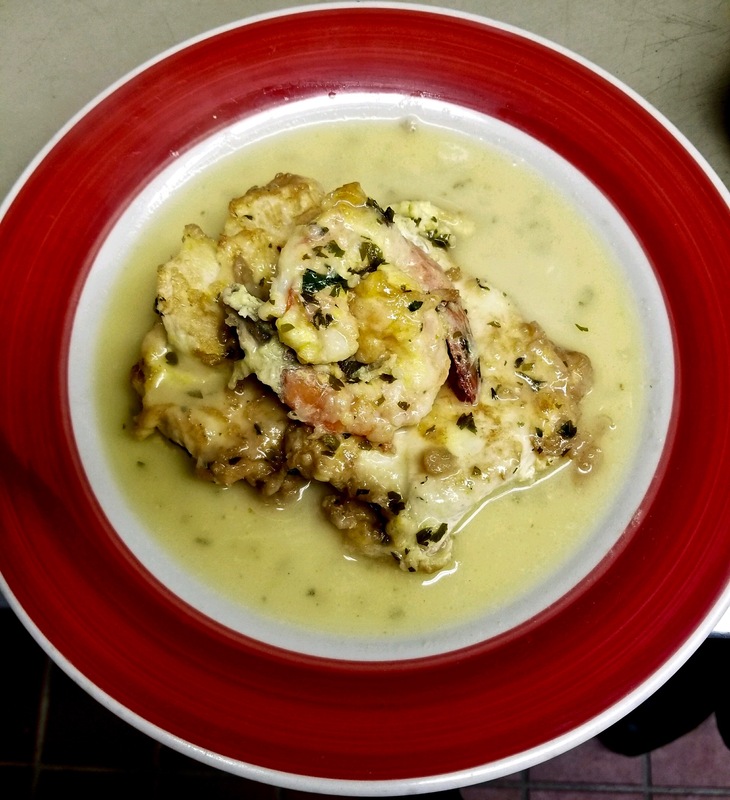 There are not many (if any) times we can count all four main course dishes a “Wow,” but we did here. First, a brief history of Ristorante Pesto’s beginning. 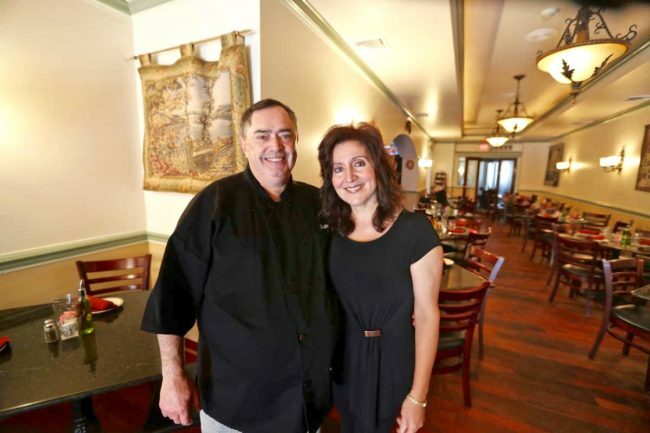 Its owners are Giovanni and Concetta Varallo. Giovanni, one of 20 children (yes … 20) is originally from Napoli. He opened a bakery in Philadelphia in 1981 with his brother Michael. 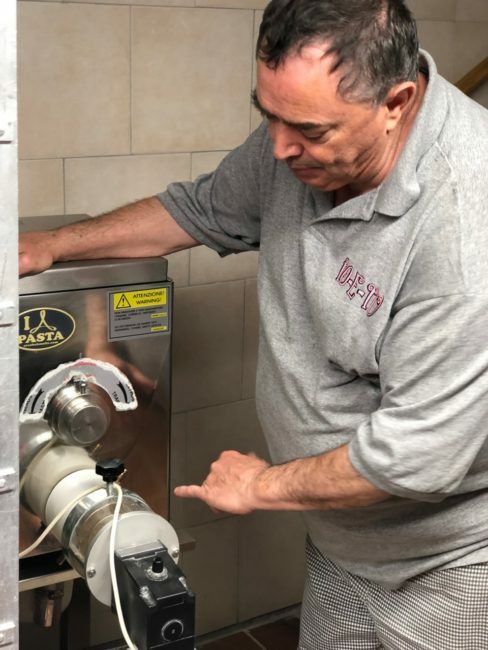 Concetta was literally “the girl next door” living adjacent to Varallo Bros. Bakery, and one day she walked in the bakery seeking employment. I could say she kneaded the dough, but that would only be a gratuitous pun. 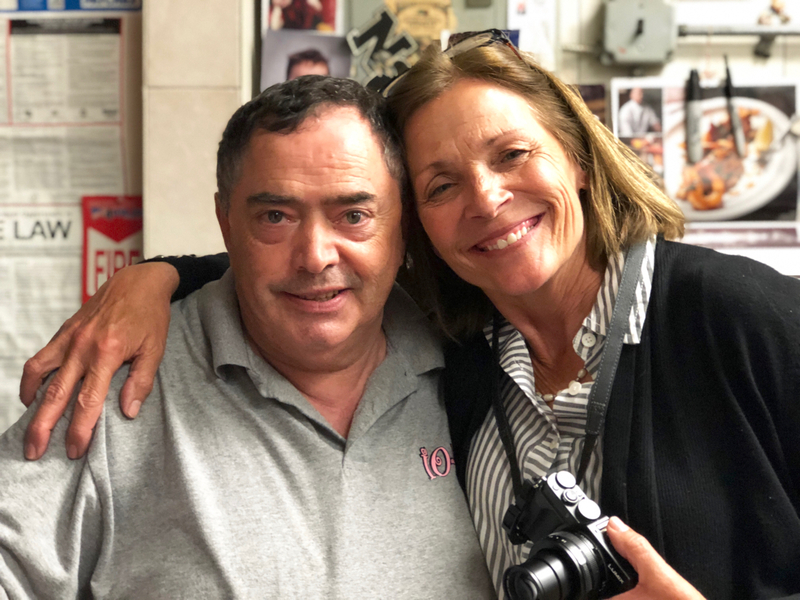 Years later, in 1990, after Concetta had attended Temple and worked an office job, Giovanni asked her if she wanted to “open up a restaurant.” Not only did Giovanni and Concetta open a few restaurants, but they also got married. In 2003 they bought a building on South Broad Street in South Philly. 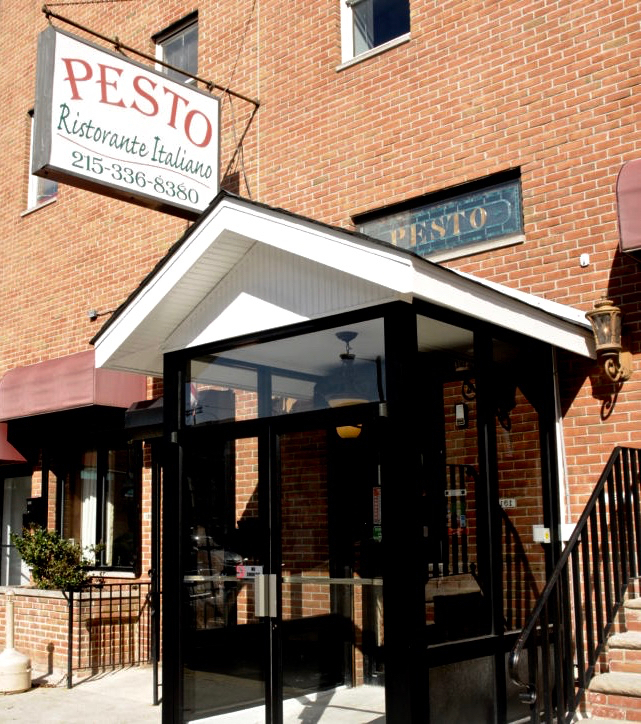 Ristorante Pesto was born. 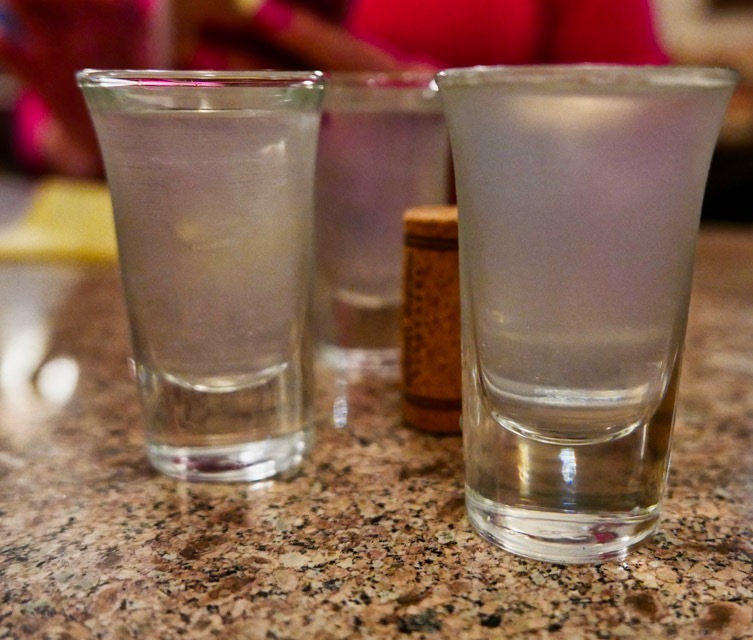 (Photo below courtesy of onlyinyourstate website). 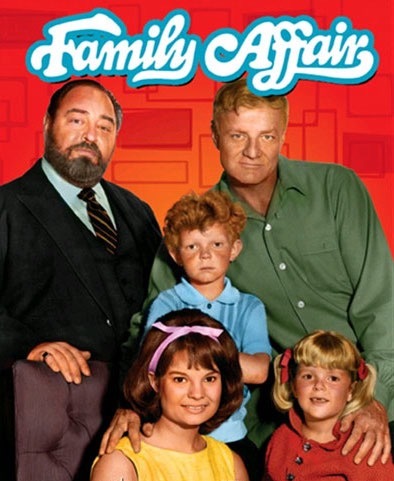 Ristorante Pesto is definitely a “Family Affair” that Sebastian Cabot would have been proud of. Since I definitely wanted to visit this restaurant, I called a couple of months in advance for our reservation (now you know why I get to the airport four hours early). I didn’t know it at the time, but I was speaking to Concetta (Connie), and we had a long and fun conversation. That doesn’t happen often while making a restaurant phone reservation. 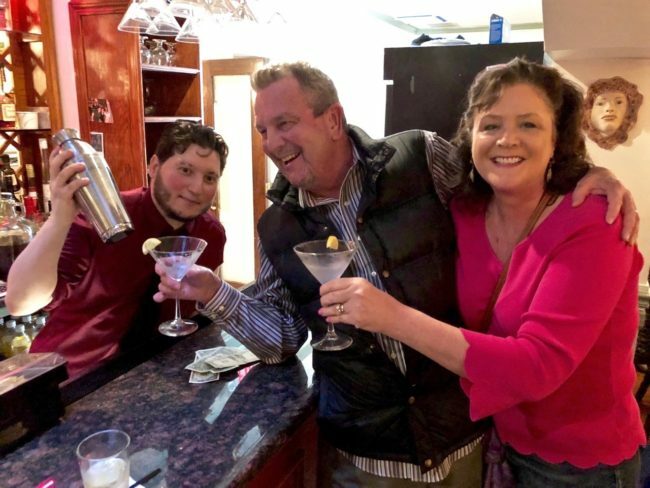 Since we were early, the four of us walked over to the small bar off the main dining room where we met Andre, who mixed one of the best “TomTinis” (story about TomTinis here) I’ve tasted. We chatted with the amiable Andre for about ten minutes and then were seated at a table in another of Ristorante Pesto’s rooms, also full. 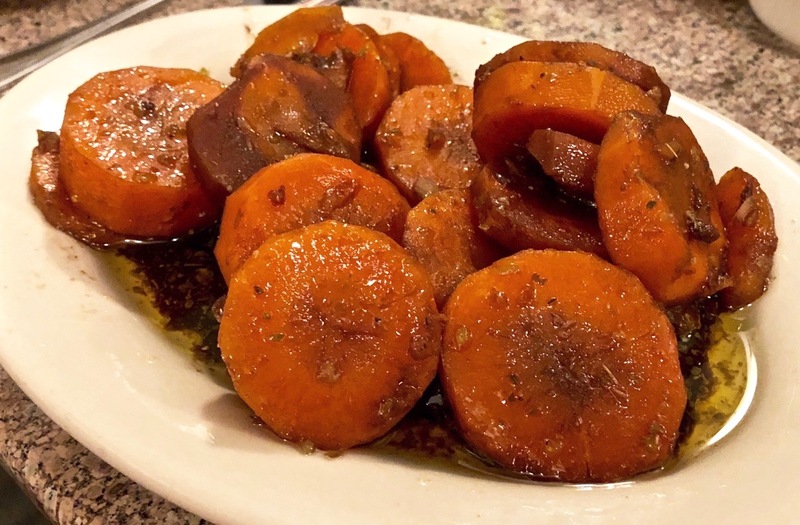 Before we ordered, Connie stopped by our table as a plate of delicious roasted sliced carrots with balsamic and olive oil was delivered. Always good to start a meal with some of your 5 A Day … especially when they’re on the house. Throwing calorie counts to the wind (our usual Meal MO), for our appetizers we ordered a stupendous Bracciolatini, which is grilled thinly sliced steak rolled with spinach and cheese. 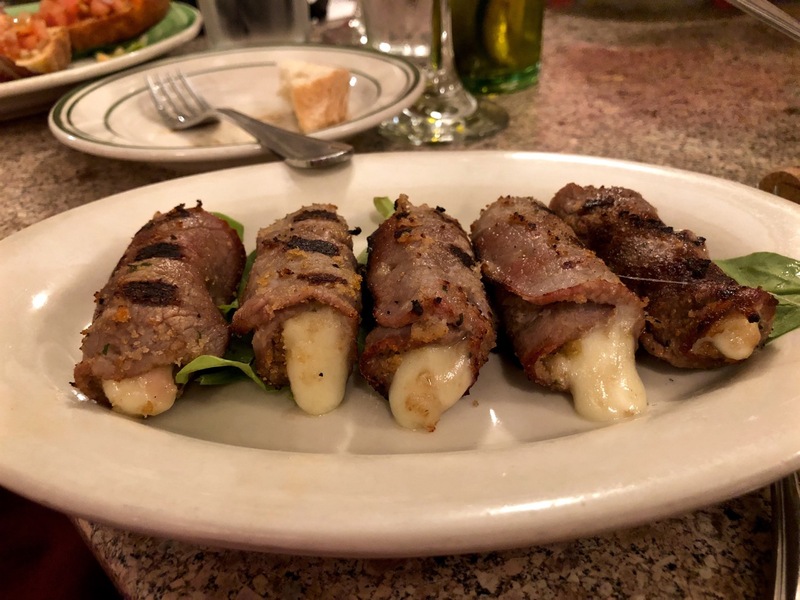 Both the dish … and we … were on a roll (photo on right courtesy of Ristorante Pesto). 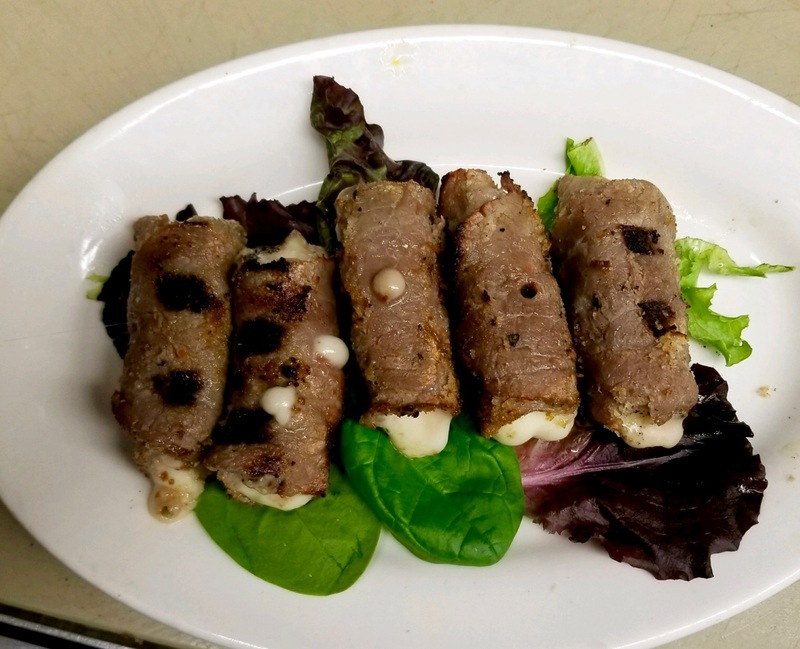 Our next appetizer, the Eggplant Rollatini, could turn me into an eggplant devotee. 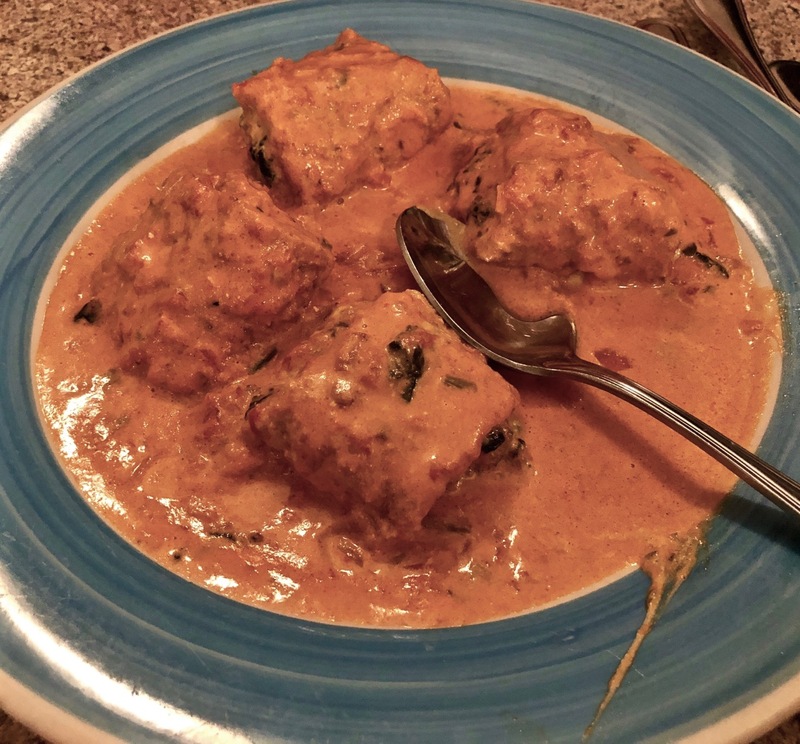 The thinly sliced eggplant in a light tomato sauce even impressed our resident “Mr. No Tomato” man Kim, who deemed it “tasty.” Fortunately, he didn’t get to taste too much, because the three of us devoured it quickly. 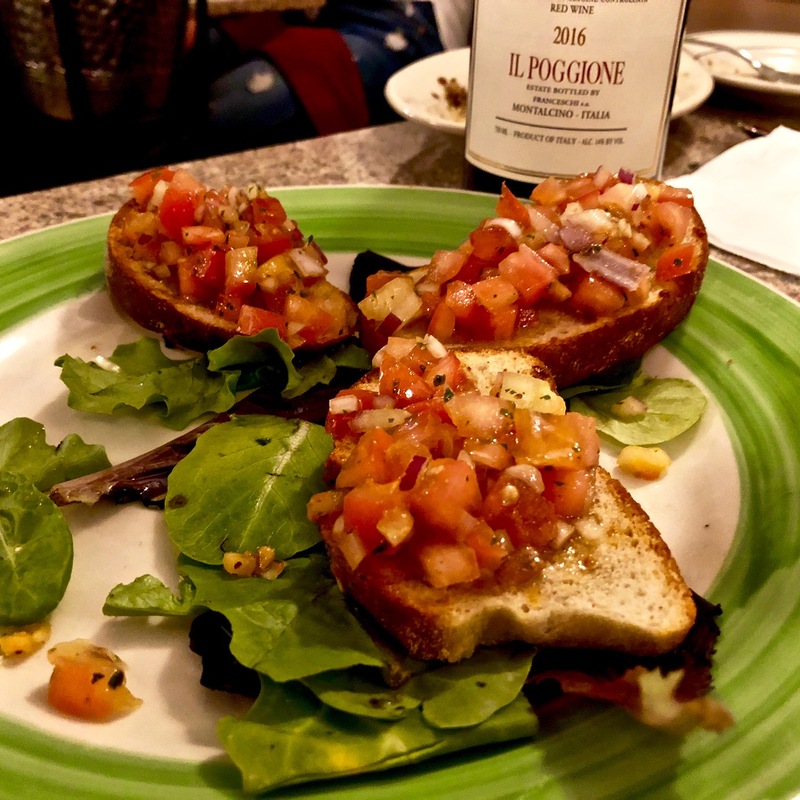 Unlike Kim, I love tomatoes so I also ordered the bruschetta, grilled Italian bread topped with fresh tomatoes and herbs in a virgin olive oil. As our appetizers swiftly disappeared from their respective plates, Mary and Rita conversed about their twins (Mary is a twin and mother of twins, while Rita recently had identical twin girls), giving me ample time to finish the bruschetta before Mary could ask for a bite. Thanks Rita … I owe you one. Now on to our phenomenal dinner. Before ordering, we chatted with the people at the table next to us. 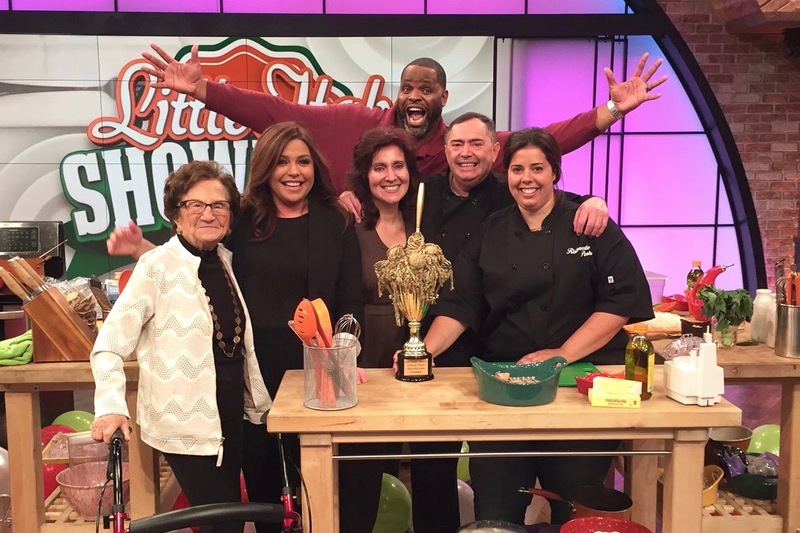 It seems in 2015 Giovanni and Maria competed on Rachael Ray’s Little Italy Pasta Showdown and won with Giovanni’s Cavatelli. Fortunately, it was one of the specials that night, and Tracy ordered it. 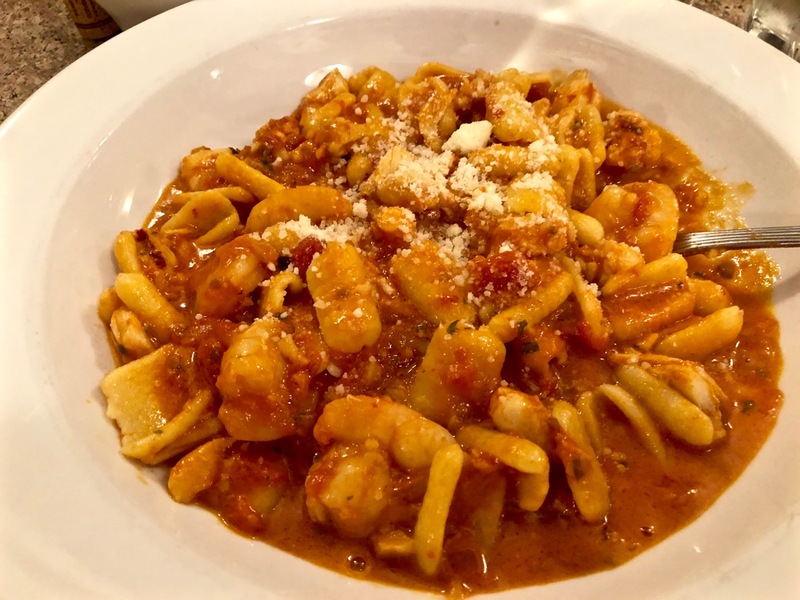 The dish consists of homemade Cavatelli pasta, lobster, shrimp and crab meat in a Rosé sauce. Oh my! Luckily, Tracy shared a little with me. 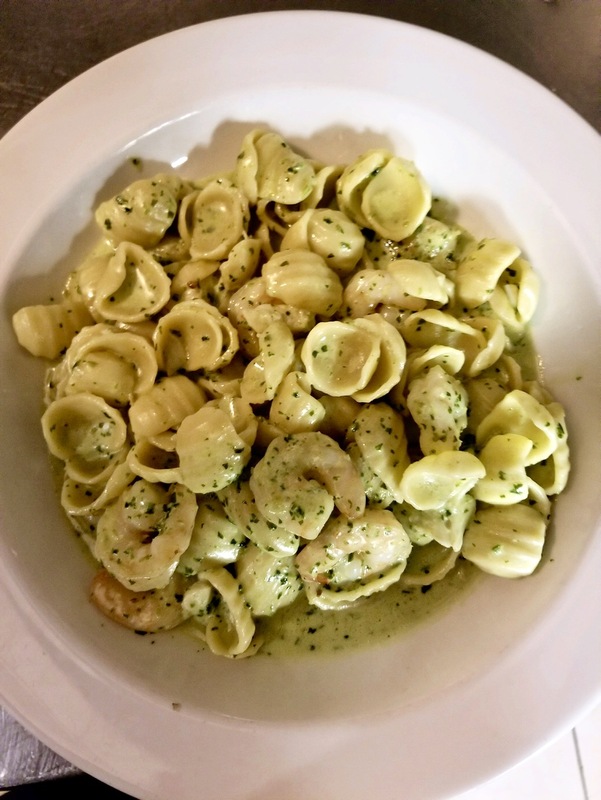 Speaking of Kim, his Orecchiette (orecchiette pasta with creamy pesto, crab and shrimp) was also fantastic. 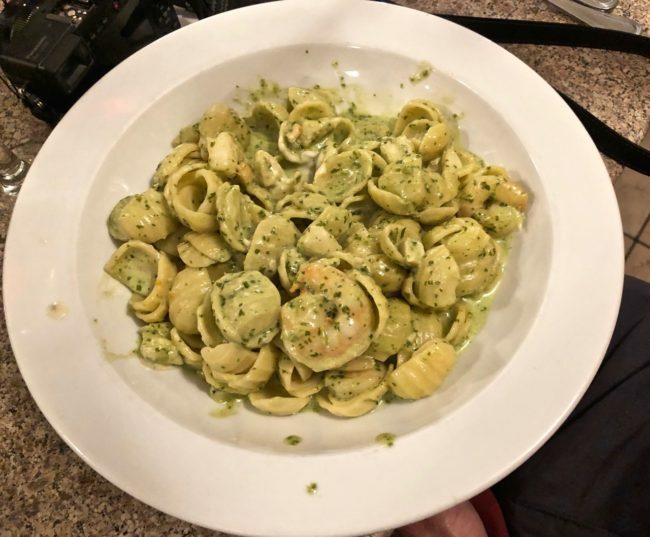 I knew two months before we visited Ristorante Pesto what I wanted to order. 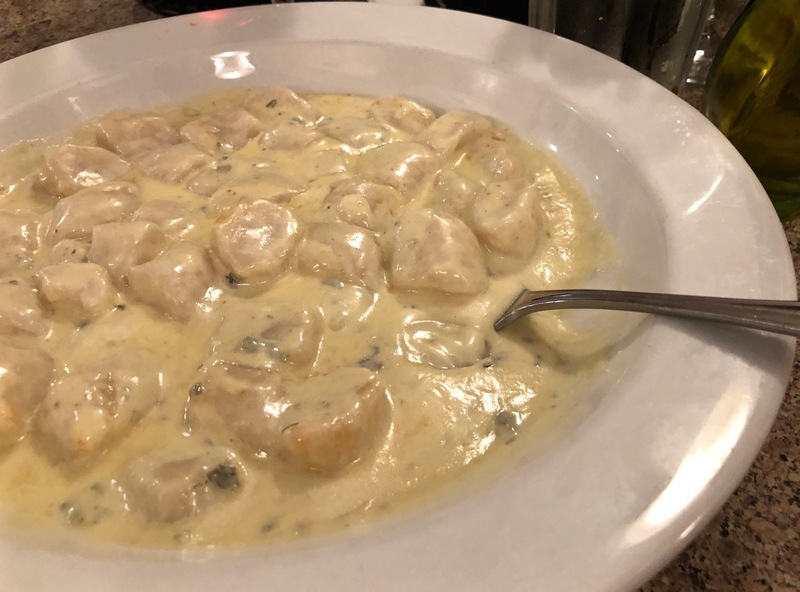 I had dreamed about having their Gorgonzola Gnocchi (I am a gnocchi freak), and Ristorante Pesto’s gnocchi exceeded my highest expectations. I might fly back to Philly just to gorge myself on another serving. 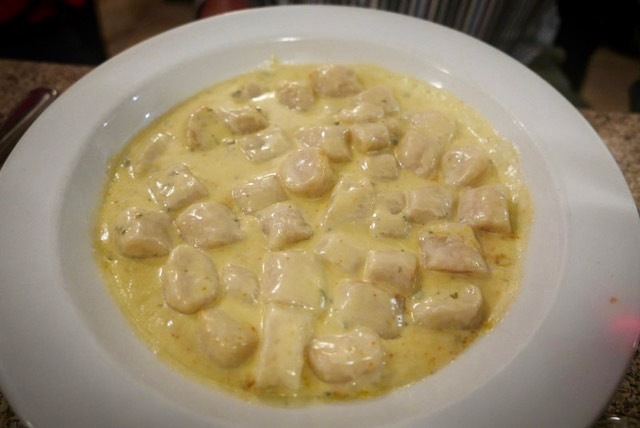 The gnocchi was cooked perfectly, and the gorgonzola sauce provided an exceptional taste without being overwhelming. To wash all this incredible food down, we had brought two bottles of wine with us. Although they do have a bar, Ristorante Pesto allows you to bring wine (with no corkage fee). The thought process behind this at Ristorante Pesto is genius … if you don’t have to spend a large amount of money on a bottle of wine, you’ll order more of its delicious food … which we surely did. As we all talked about what a terrific meal we had just shared, Andre showed up unexpectedly at the table carrying four small glasses. “I made mini-TomTinis for you all,” he said. Did I tell you how much I love this place?! 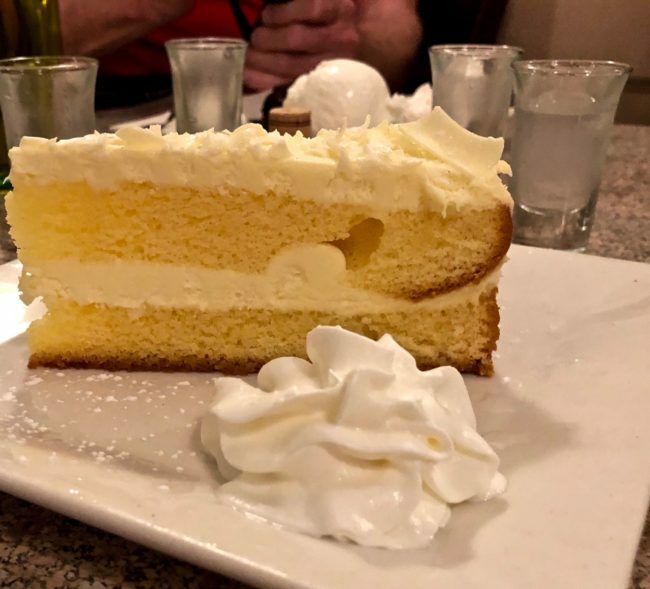 By now we were all pretty full, but as many of you who read our reviews know, “being full” does not preclude us (ok, usually me) from ordering dessert. 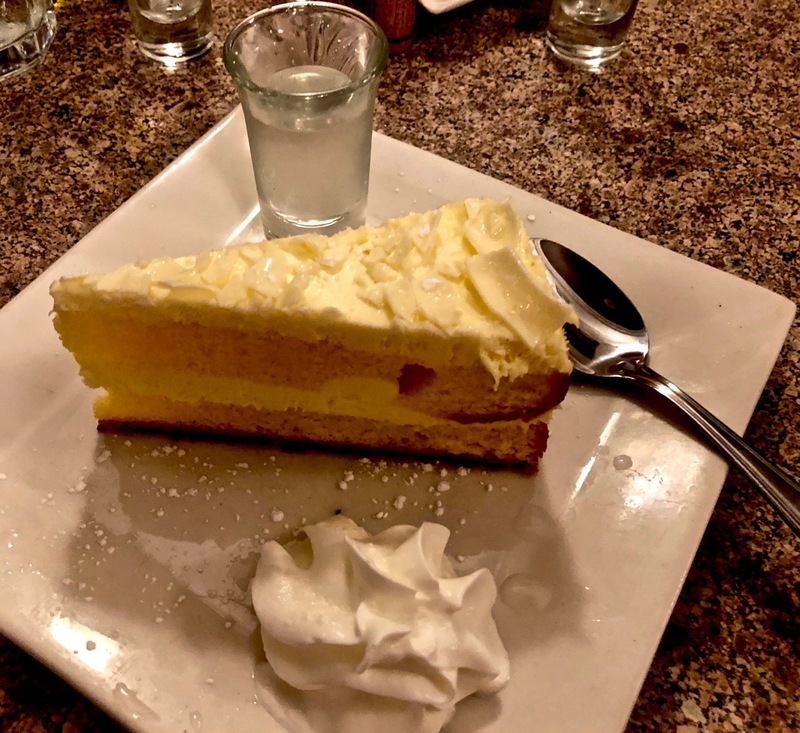 We all shared a Nutella chocolate soufflé with vanilla gelato (words cannot describe how good that tasted), while I indulged myself with a Limoncello cream cake that I deemed to be “house-made heaven.” These are the nights my “Expando-Belt” comes in quite handy. It was sometime during dessert that I noticed Tracy and Mary had gone missing. I asked Kim where they had gone. He answered, “While you were face-down in that Limoncello cake, Tracy and Mary were invited back to the kitchen.” I would have joined them, but worried Kim might eat the rest of my dessert. 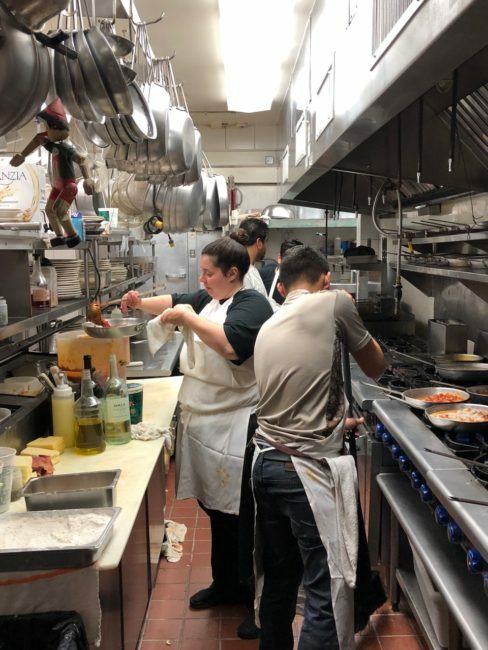 Tracy and Mary conversed with Giovanni and Maria while touring the kitchen and learned that Giovanni makes all the homemade fresh pastas with recipes from his mother and sisters. 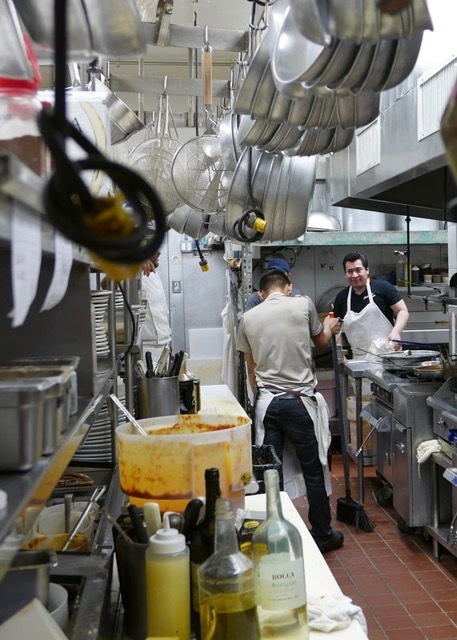 … however they returned quickly to our table as that is one busy kitchen! Meanwhile, I finished off the Limoncelli cake, fending off Kim with my frosting-laden spoon and fork. 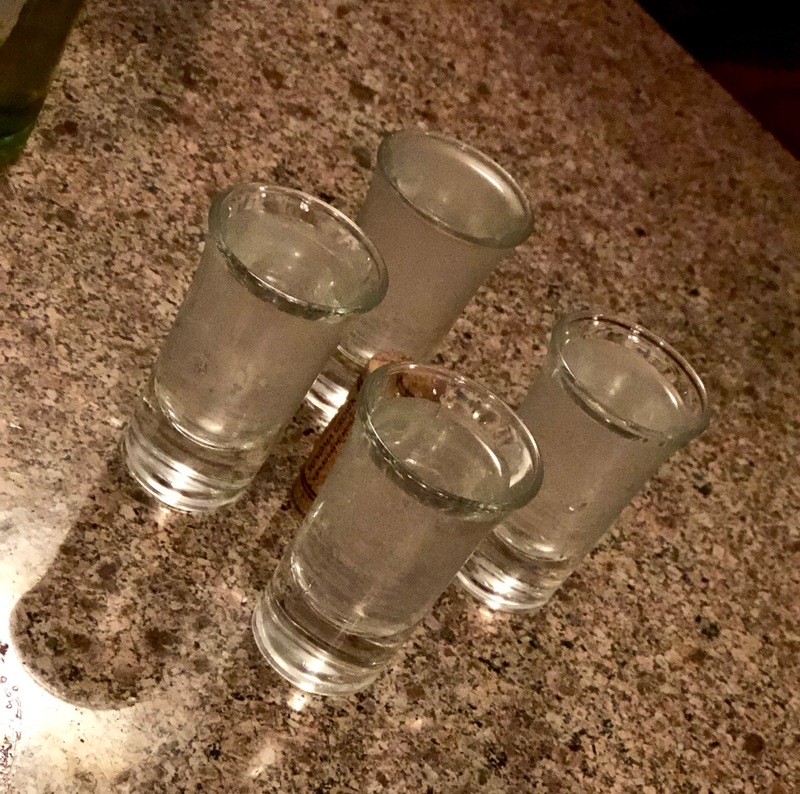 We bid “buonanotte” to Connie and Rita and carefully piled into our Uber for the ride back to our lodging near Rittenhouse Square. 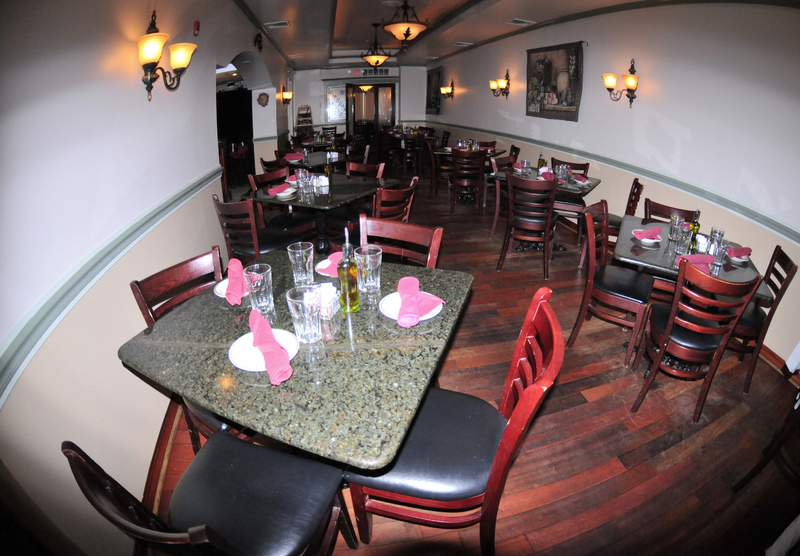 We marveled about everything at Ristorante Pesto. You can’t always trust TripAdvisor reviews, but there’s certainly a reason this restaurant is rated #1 in Philly. All those “Excellent’ reviews are well-deserved. The Philadelphia Inquirer ran a story on Ristorante Pesto where Connie was quoted as saying, “He (Giovanni) has a passion for food; I have a passion for people.” Let me tell you … it shows! From the moment we were greeted by Connie to our great meal to the surprise kitchen invite to my last bite of Limoncello Cream Cake, our time spent at Ristorante Pesto was nothing less than perfect. It was an experience and a meal to savor. The four of us had walked more than 10 miles earlier in the day exploring one historic site after another, and our visit to Ristorante Pesto added the ideal ending to our magical day in Philly. 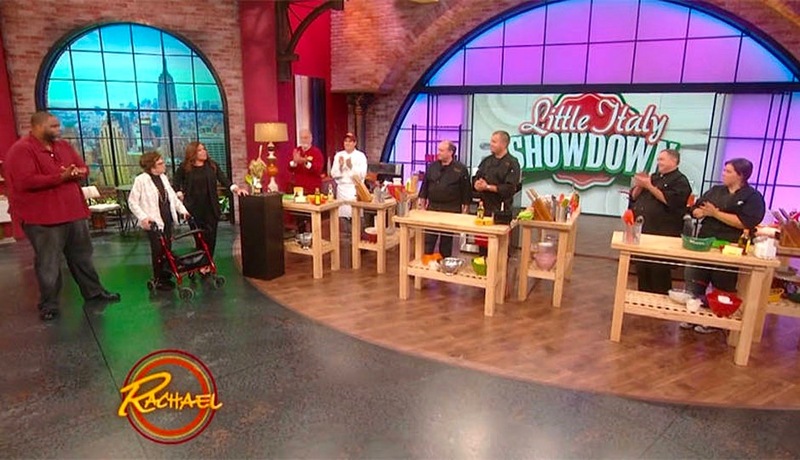 I hope to return someday … so Giovanni, Maria and Connie … keep a double serving of gnocchi ready for me. I’ll bring the wine! Hours: Tuesday – Saturday 5 p.m. – 9:30 p.m.